If you were the manager of a non-Sales department, you might find that some people don’t mind attending a meeting even if it doesn’t get much done. After all, it represents time away from the grindstone, a chance to relax and even — if they’re at the back of the room or the lights are out for a video presentation — catch a little nap. But salespeople think differently. 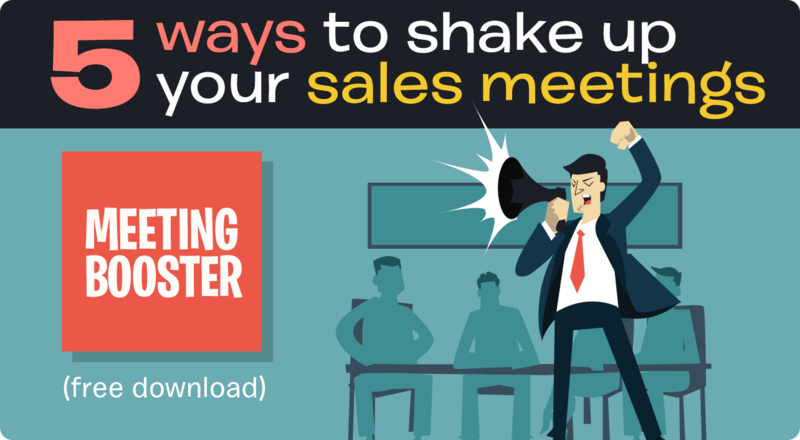 Because their paychecks depend at least in part on carrying out sales activities, they’re likely to have little patience with low-value meetings that cut into their sales time. And so the sales manager, usually the one organizing the sales meeting, has to get it right. The key, I think, is to find things to do at the sales meeting that (1) are intrinsically engaging and (2) give salespeople a chance to learn and/or practice important skills. It’s not good enough to think up fun activities if they don’t have a payoff in terms of skill transfer. It’s also not good enough to offer dry-as-dust training that fails to stimulate the imagination or get the attention of salespeople. Pick a topic – movies, books, TV shows, big moments in sports, etc. – and have each participant give their favorite in the category. Then have each person try to “sell” their favorite to the rest of the team. The exercise lets people practice formulating an effective pitch on the spot. Buyers often don’t tell the whole truth about their situation or their needs, for various reasons. To help your salespeople sharpen their nose for little deceptions, try this exercise: Each person tells two truths and one lie about themselves, and the rest of the group tries to figure out which is which. 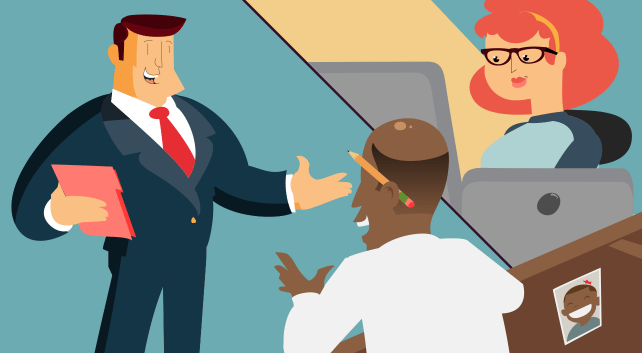 Praising a buyer without resorting to transparent flattery is a skill that needs developing. In this vein, have each person in your meeting pay someone else a sincere compliment. It can be about something they’ve done in the recent past, or a positive trait they display. Bonus: Not only does this exercise build a useful skill, it helps create a positive team environment. Before approaching a new prospect, a salesperson needs to know something about them and their business. To drive this fact home, divide meeting participants into groups of two or three and have each group come up with 10 or so avenues, on- and offline, for prospect research. This exercise builds off #4. Each participant makes a list of information they’ve dug up about a new, fictional prospect. This might include alma mater, sports teams supported, clubs, marital/family status, socio-political interests, seniority with the company, list of jobs held, etc. Then do partnered role-plays where each person tries to use one piece of information to build rapport with the “prospect,” without making the latter feel they’ve been stalked. Have each attendee write and read aloud a 30-second script, suitable for a broadcast commercial, about your company, your team or a product. It’s a good exercise to focus your reps’ minds. Also, it will let you know if there are any misconceptions or gaps in their understanding of what you do and sell. Reps bring in an example of how they overcame an obstacle to make a sale. Pre-assign one or two people to do this, so you’re not putting them too much on the spot. Success stories motivate and also convey new information about how to handle objections and snags. Describing a “buyer from hell” provides reps a chance to vent. It also gives their colleagues and manager an opportunity to point out where a rep might have done something better or different to defuse a tough situation. Building rapport with a new prospect may depend on observing something about them or their environment that naturally sparks conversation. To drill reps on this, have each person notice one thing about the person next to him/her – like a tie bearing a college emblem or a keychain with an automobile logo tag – and ask a question about it. Then reverse the process so that everybody gets one question. Review the kinds of information elicited and the conversations that resulted.